The administration continues to look at the processions as a ground for people assembling not only for religious, but also political purposes. 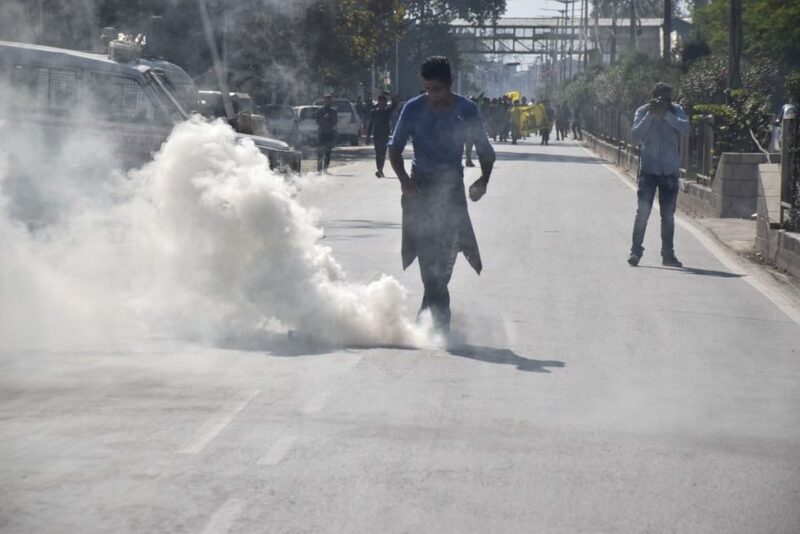 Srinagar: The Jammu and Kashmir government has once again imposed restrictions in several parts of the Kashmir Valley, particularly the capital city Srinagar, ahead of the eighth Muharram to prevent the Shia mourners’ Muharram processions. The processions stand “banned” in Kashmir since 1990 when armed insurgency began. It was eighth Muharram of 1989. A massive procession comprising approximately one lakh people marched from Shaheed Gunj via Budshah Chowk through MA Road to Dalgate. The procession marched through MA Road amid “pro-freedom” slogans and culminated at Dalgate. Since then, the government in J&K never allowed the Muharram procession; it was banned the very next year by the then governor, Jagmohan. Each year, the J&K police imposes curfew-like restrictions, putting up iron barricades and rolls of concertina wires. Armed police personnel do not even allow pedestrian movement, as tougher restrictions are enforced. However, despite the clampdown, mourners defy police restrictions and take out processions. And each time they do, police and paramilitary personnel intercept the mourners, fire tear gas canisters at them, baton-charge them and eventually arrest them. 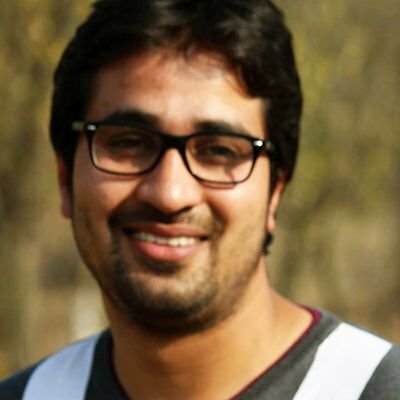 This year too, the J&K police arrested an unspecified number of Shia mourners taking part in a procession. Several of the mourners were also injured in police action. Amid the chaos and the mess, the J&K Traffic Police woke up at noon to issue a traffic advisory. However, city lanes and by-lanes had already been blocked by then. “Practicing religion is a fundamental right. The state is not only violating the right to religious practice but is also violating the fundamental right of gathering and movement,” said Raashid Maqbool, a senior journalist belonging to the Shia community. During the pre-militancy years, the procession would start from Abi Guzar in Lalchowk and march through the heart of the city in downtown Srinagar and culminate at Zadibal. Maqbool said the people from the Sunni community would offer the mourners with drinks and food on the way. The administration, though, continues to look at the processions as a ground for people assembling not only for religious purposes but politics as well. Processions are not Shia-specific, a superintendent-ranking police officer confided to The Wire. People of multiple religious and political leanings hop on. 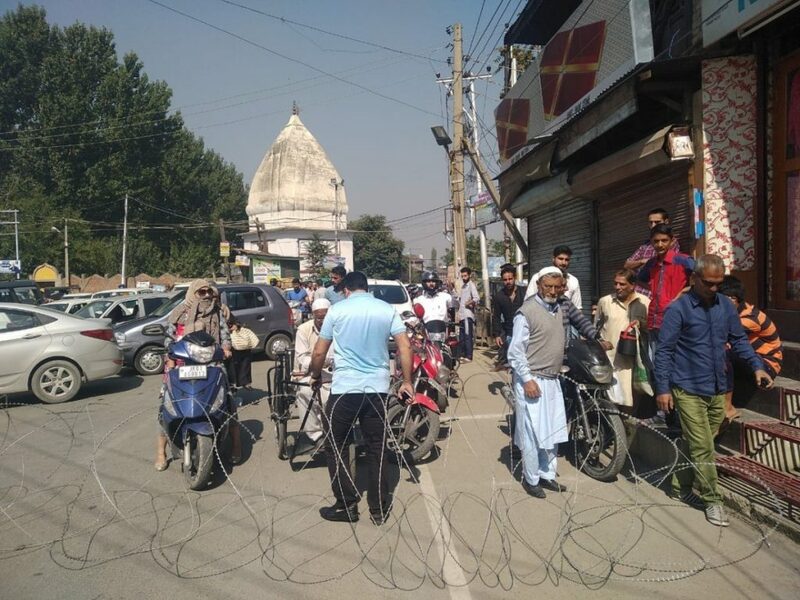 This makes the mourning of the Karbala tragedy a place to vent out their anger against the state, and, owing to the overall situation in valley, a more serious concern for the administration. Though the administration would only say that the imposition of ban is to prevent any untoward law and order situation, the instant eruption of ‘pro-freedom protests’ seems to be the reason. “If the factions of the Shias wish, the issue could be settled amicably,” the police officer claimed putting onus on the Shia mourners. But the loud thinking remains to keep the ‘curbs’. The state government held a meeting and wanted to allow free movement, the officer explained, but immediately a politician tweeted about it. “As soon as he tweeted, the other faction opposed the idea. That is how the move got scuttled,” he said. He said a major reason for the state not allowing the Muharram processions was because of the “separatist perspective” attached to it. “People from different sects and ideologies join the procession and turn it into a separatist procession,” he claimed. Yousuf Jameel, a veteran journalist who has covered Kashmir for the last four decades, said the primary reason for banning the Muharram procession was the state’s fear that the people will vent out their “pro-freedom” sentiments in the processions. “When we speak to officials, they tell us that the people may seize such occasions for giving a vent to their sentiments,” he said. Similarly, moderate Hurriyat faction chairperson Mirwaiz Umar Farooq told The Wire the ban on Muharram processions was because of the state’s apprehension about the processions turning into “pro-freedom” rallies. People of Kashmir vent out their emotions and their loyalties on all occasions, he said. 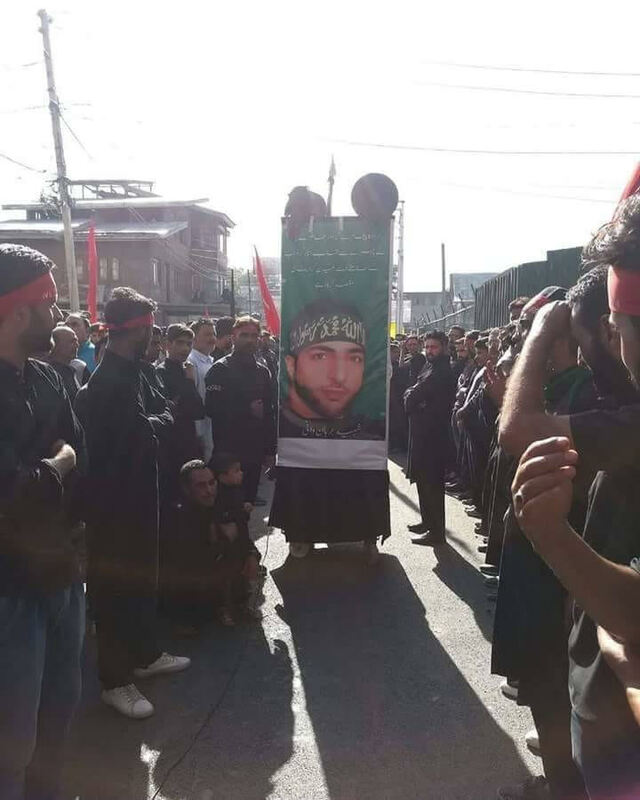 On Monday, during a procession, Shia mourners carried pictures of slain militant commander Burhan Wani and raised slogans for “freedom” and against the state. Addressing the gathering of not more than 100 people, one of the speakers hailed Burhan as a “martyr” and pledged to “continue with his mission.” The video of his address went viral across social media platforms. Maqbool said the state seems to fear the processions might get out of control. “Pro-freedom sentiments may crop up,” he said. Shia clerics blame the state government for “divide and rule politics,” saying that, in fact, Muharram procession brings communal harmony among people. In January 2008, the Kashmir-based Shi’ite organisation Ittihadul Muslimeen filed a petition in the J&K high court seeking quashing of the ban clamped by the former governor, but the state government did not respond. In December 2009, the J&K high court once again directed the state government to file the objection, but again got no response. 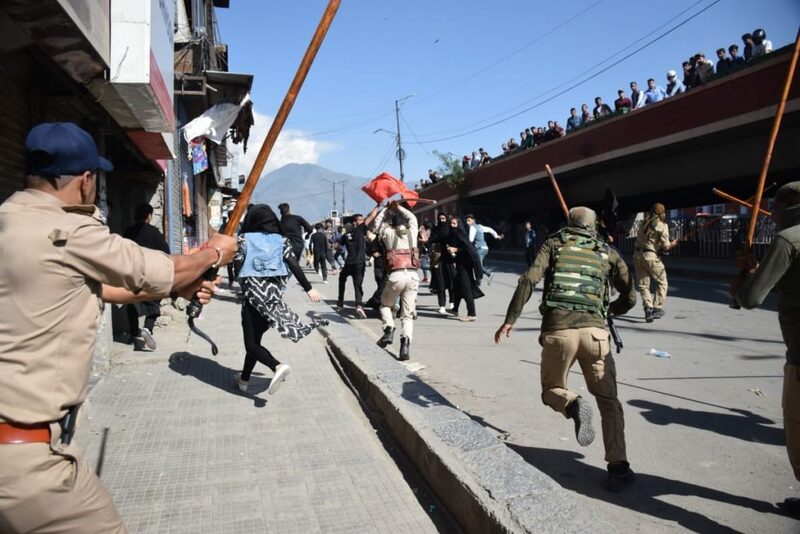 Meanwhile, thousands of young Kashmiris insist on defying the ban and taking out a procession, and as a result are subjected to brutal police action. “There’s nothing we can do now other than to protest and take out processions, The court gave us a green signal, but the government is in no mood to revoke the ban,” said Murtaza Ali, a mourner. J&K police director general of law and order Muneer Ahmad Khan denied that there was any ban on the Muharram processions. He said police are not allowing any new route or any new diversion. “Only the traditional routes are being allowed. There is no ban.”. Khan, however, said the police allow the processions on the routes that are designated since 1990. “There is no ban on Muharram processions. In fact, the police facilitates the processions at several places,” he said. When asked why the police do not allow the procession from Abi Guzar, the route that was being used for decades, Khan said it is not in the interest of law and order. “It is also not in the interest of the mourners,” he said. Religious processions are being taken out in Kashmir since 1527 when Sultan Muhammad Shah was the ruler. Shia Muslims, with the support and cooperation of Sunni Muslims, used to take out two major processions in Srinagar city. In 1977, on the request of the then chief minister Shiekh Muhammad Abdullah, it was decided to take out a joint procession. However, in 1989, the then J&K governor imposed a ban on the procession as part of sweeping measures to deal with political unrest at the time. The ban remains in place till date. J&K people see the ban as a blatant breach of their religious freedom and denial of fundamental human rights and continue to demanding revocation of its revocation.